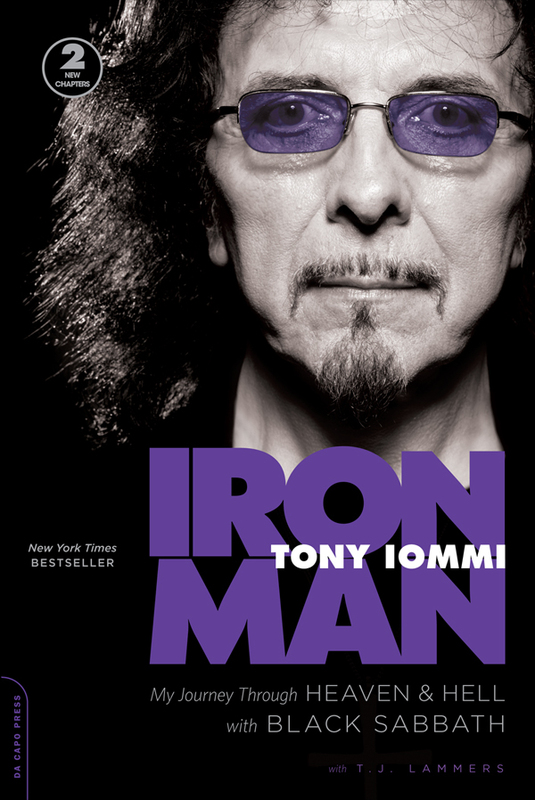 A year ago (give or take) Tony Iommi’s autobiography came out. I wrote about it a bunch, even had a reporter on side for one of the US Book signings (seems funny to say I have a reporter – haha). You can read all of that here. As with most books, some time down the road, the book is reissued in paperback form. Well, that time is now. Tony’s book is available in paperback form. Actually, it’s been out in Europe and the rest of the world for a couple of weeks now. It’s out in the US/North America tomorrow. I was sent a copy of the paperback book, and given how I managed to read the original in a single setting, I figured this would get read fast. And it was. Was done with the update in a very short manner. The outside of the book cover says “2 New Chapters”. But with that, you have to remember the structure of the book. This is a book in it’s original form that was 369 pages long with 90 chapters, and in paperback is 383 pages with 92 chapters. So I’d be a liar if I said there was a ton of new reading here. Likewise, I’d be a liar if I said there wasn’t anything new to check out. There is. Just not a lot of it. If you bought the hardback version and were interested in this, it’s a judgement call on your part as to whether it’s “worth it”. Given I got both copies of the book for free from the book publisher, I can’t accurately say whether it’s worth it one way or the other. I can say this, though. If you’ve never bought the book before, you should go for this one, as it does have more content than the original version. I very heartily recommend the book itself, but the question about “should I buy both” is really up to your individual choice. Without totally re-reading the entire paperback book over again, as far as I can tell, none of the previous content is changed from the bits I glanced at, but there was one place there were a few changes. That’s Chapter 90. Chapter 90 in the hardback was the last chapter of the book, and was titled “A Good Place”. In the paperback, Chapter 90 is now titled “Good News And Bad”. The bulk of the chapter from the hardback is all still here (the WhoCares project is mentioned here in both), it’s just rearranged a bit with a bunch of new content. Tony mostly writes about his cancer diagnosis in the new Chapter 90. The opening remark stating “I would very much like to do something again with Geezer & Vinnie and another singer, but of course, if we do start something new, it would be under another name”. That paragraph originally led into the talk about WhoCares in the hardback. 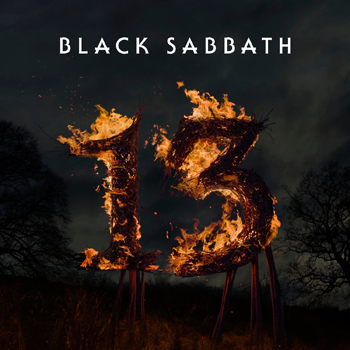 Now with all the happenings with Black Sabbath & Ozzy now, it doesn’t make a ton of sense for that to be in there. Tony may still feel that, and I wouldn’t read too much into it, it’s probably just artistic rearranging for the narrative flow of the book at that point. The last paragraph in the hardback says “But whatever happens, there’s one thing I’m absolutely sure about. 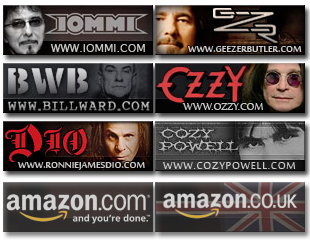 I will never set fire to Bill Ward again.” That entire bit is gone from the paperback version. It was a funny line to end the book with, not entirely sure why it was left out. In fact, Bill Ward’s name is never mentioned in any of the new bits in the book at all (although “all four original Black Sabbath” members is said). None of the controversy about him with not wanting to participate, and “unsignable contracts” – none of it is here. That was a mild eyebrow raiser, but I can’t say I’m completely surprised about that either – Tony probably felt this wasn’t the place to get into all that. In fact, while the official (and technically correct) statement says there are two new chapters, the previous Chapter 90 is so reworked, it might as well be three new chapters. The reworked Chapter 90 has more pages than Chapters 91 & 92 do combined. Chapter 90 (12 pgs) – Mostly about the cancer diagnosis, his life living with it in the immediate aftermath, talking about his hair, how he felt with the three live gigs in 2012 and how it all played together. Chapter 91 (4 pgs) – More on cancer, and coming out of treatments and thanking the people in his immediate inner circle. Chapter 92 (3 pgs) – A few brief thoughts on his career, looking backwards. As I said above, if you’ve never bought the original hardback version, I’d go with purchasing this one. It’s likely the one to get, what with the additional material and all. As I said, it’s out tomorrow in the US/North America. It’s already out everywhere else. Here are a couple of ordering links for the paperback version. Also, if you want to read more about the main part of the book, check out my review of the hardback edition – all that still stands up here. It is a good book, I agree. Tony sometimes , as when he speaks has a tendency to be very modest and understated, but it is an interesting story for anyone remotely interested in Sabbath. In particular it depicts how hard it was, and violent even, in Aston where they grew up, and how they were such outsiders. It’s easy to copy others that had gone before, after they took the chances and laid the foundation. Sabbath were originals. Artists. Innovators. One thing missing in the book though that I REALLY would have liked is photos. Rare photos. Or any photos. I got mine on Ebay and was an advance copy oddly enough probably for review purposes or publicity, but I assume the retail versions have no photos either. Still, it’s a really good read and I recommend it! The retail version of the hardback has a nice section of photos in the middle. Too bad you missed out on that. Do you know if the Kindle edition will be updated to include the new chapters? I would think the current book won’t be updated. Because technically the paperback edition is a new book. But I could be wrong. I don’t actually have all the facts on that. Well, it is a good book. I’ve bought the original printed version when it came out in Europe. Now I’ve bought the audio book read by Bev Bevan. It cost me almost 20.00 €. But it was worth buying it. Bevan did a very good job. I can’t say anything about the new chapters because I haven’t heart it completely yet. Marry Christmas to everybody who reads this but especially to Joe Siegler. May luck be with you in the future.